Light language is a wonderful tool for emapths to use to manage energy. It bypasses what the mind is replaying and goes to the origin of the misalignment. There, it brings information in the form of light codes to help you shift energetic patterns. Join Yvonne Perry on March 28, 2015 for teaching (circle style) and a chance to experience the joy of light language through drumming, singing, intoning, dancing, and making art inspired by the light within us. She will be offering activation for spiritual gifts and demonstrating light language as a tool for restoration and ascension. This will be a powerful event, packed full of fun, love, fellowship, and laughter! Bring a drum, rattle, or other musical instrument. You do not need to be able to speak light language to attend. Although, you might be speaking it by the time the gathering ends! 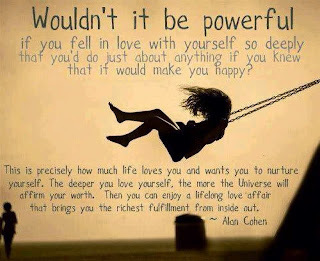 Overloaded with Energy as a Highly Sensitive Person? Do you feel energy a bit too much for your own good? Are you a highly sensitive person struggling with the changes created by the shifts we are experiencing as a collective whole? Discuss your situation and find ways to work with these cosmic frequencies in a way that benefits you and those around you.The next Empowering Hour with Empaths is Tuesday, January 13 at 2 PM Central Time and you are welcome to attend. Please send me any questions that you would like me or Veronica O'Grady to answer during the call. While attending family events and other social gatherings during this season, empaths need tools for thriving--not just surviving--the holidays. That's what you will learn in the replay of our group coaching call. Veronica O'Grady and I shared some ways to re-script the Akashic records or life experiences that have had a detrimental effect upon us, our ancestors, and descendants. 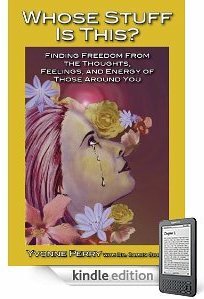 Learn about "scooping out" karmic energy and breaking ties with those in body and in the afterlife. 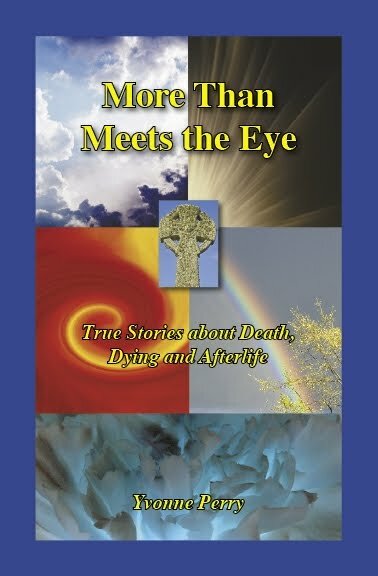 And, speaking of the afterlife, we explored why some deceased family members do not or cannot contact us and why some people cannot sense or see or hear these loved ones. We also delved into how off-planet beings (our family of light) are helping us shift the consciousness of humanity. How to know whether or not you want to engage with these helpers some call ETs (extra-terrestrials). I hope your holidays are safe and wonderful and that the tools shared in this episode of Empowering Hour with Empaths will be truly helpful in managing energy all year long. Oneness. Really? We all have a Divine spark within us. However, the thought that we are only manifestations of Creator experiencing His/Her self with an overlying, illusionary ego, within a theater-type world causes a bit of anxiety. Does that mean our whole existence is nothing more than an illusion? Why would we want to continue in such a game? 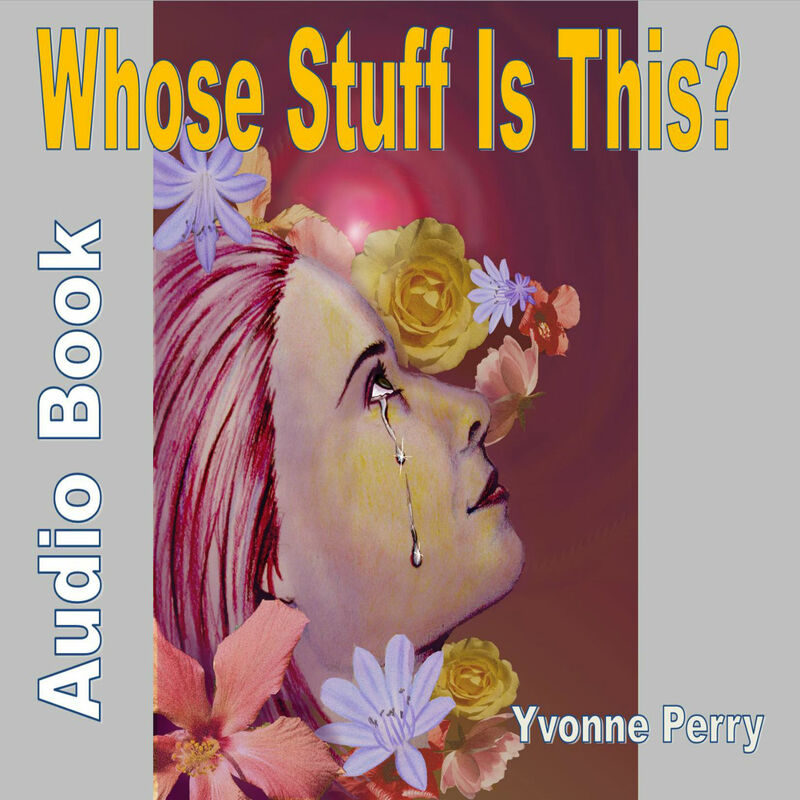 Vic Singer and Yvonne Perry have some intriguing questions to sort through on the next group call known as Shifting into Purer Consciousness. It seems a lot of doubt and frustration is coming to the surface, probably because it is ready to be healed and transmuted so each of us can stand in our unique truth. Someone wants to know if the current shifts happening on Earth are real or are they just a bunch of woo-woo stuff we've made up in our minds? Another person asks: Is the Law of Attraction really a universal spiritual law? If so, how can someone who has gone through rough times shift from skepticism to acceptance and enjoy a fulfilling, joyful life? One person is asking for practical easy-to-apply tips on how to maintain a high vibration/inner light during real life situations. Do we just drink a lot of water, which causes lots of bathroom breaks where we pee, pray, reset, and connect? We will also talk about time, timelines, time travel, timelessness, the nature of multidimensional being-ness, the Intergalactic Federation of Light, the photon belt, Rainbow hula hoops in stacks, and vivid dreams. Join us this Thursday to give your input or hear us toss these topics around in a discussion where there are no wrong answers! 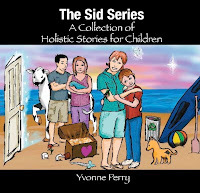 This call is hosted by Yvonne Perry, the author of Shifting into Purer Consciousness ~ Integrating Spiritual Transformation with the Human Experience. See http://weare1inspirit.com/coaching.htm for information about a free 15-minute evaluation to see if coaching is right for you. The co-host on this show is Vic Singer, a life transformer and visionary medicine woman who has worked with healing arts since age 19 when she began her studies that include western medicine, indigenous realities, and Eastern practices. 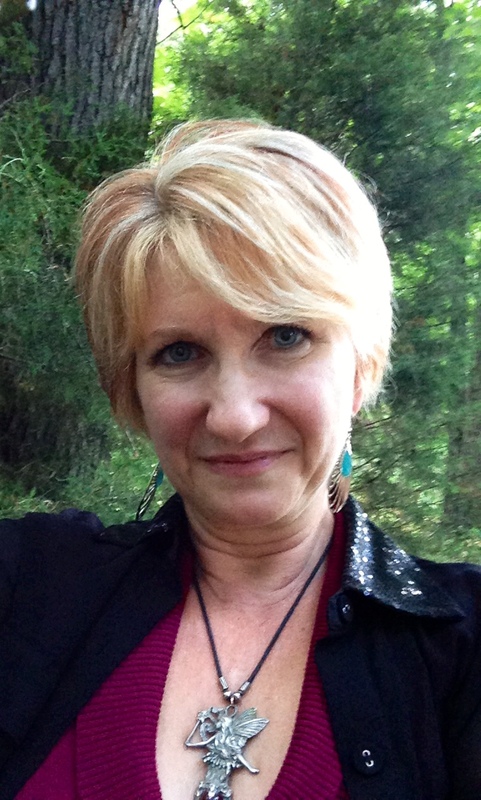 Vic facilitates group healing circles and shares healing with individual clients. Get on the free call with other empaths and walk-ins where you may share your experience and pose questions to Yvonne and her co-hosts. Many times there are transmissions of grace and energy activations through light language given during these calls. Listen to replays of “Empowering Hour with Empaths” and “Walk-ins Among Us” and “Shifting into Purer Consciousness” group coaching calls. Be sure to sign up for our newsletter to get email notices when these calls transpire. Yvonne has authored several books on spiritual topics that complement her coaching and help you push through the ceiling of resistance that keeps you living small. On the October 14th Empowering Hour with Empaths, Yvonne Perry and Veronica O’Grady answered questions about why ascension is so hard. Some symptoms include GI and intestinal releases, muscle cramping, feeling revved up or euphoric one minute and exhausted or down the next. Why are so many people leaving the planet? Is it possible to be operating in multiple realities at once and not be fragmented? Changing an established relationship in which one person dominates the other. Taking appropriate action when feeling the emotions of a person who wants to commit suicide. How to know when to consult a teacher and be open to another versus getting your answers from within. Working with issues that keep coming up over and over. Integrating parallel lives and multidimensional aspects. As we begin to recall and reassemble soul fragments and integrate soul aspects from other lives into the present incarnation, entities and earthbound souls may be flushed from their hiding places. These are being released and sent to the light because their duty is complete; once they are cleared of the old paradigm karma, they will receive their next assignment. This “coming out” of our shadow side is causing the discord that many are feeling both inwardly and in relationships. Most people are afraid of their feelings and want to remove the discord or leave unpleasant situations without checking in to see what lessons are being offered. As we process these changes, our emotions are up and down, there are physical aches and pains, and we may hear conflicting voices in our heads. It’s part of the process of becoming whole. If you are having trouble integrating these soul aspects, I can help you with a short coaching session. (Most people get as much as they are ready to process at one time in about 30-45 minutes.) See http://weare1inspirit.com/services/ for more information. On the October 23rd Shifting into Purer Consciousness, Yvonne Perry and Vic Singer chatted about relationships and how is common for souls to incarnate together and play roles to help one another remember what was left unresolved. This is why some people are in our lives for only a short season. When both souls have achieved what they intended from the arrangement, these friendships or relationships may go their separate ways. But because we are so attached to things and people, our emotions get in the way and we allow our grief to keep us from moving forward to the next lesson. Karma has nothing to do with punishment, judgment, or retaliation. It is the imprint or pattern of unresolved issues and experiences contained within each incarnation. We reincarnate with this encoded information and arrange opportunities to resolve whatever was left outstanding in a previous life. Much of the discord with another person could have links to something that was left unresolved between the two of you in a previous life. You don't necessarily have to know what happened, but it does help to participate in the clearing process. More evolved souls have a signature (resonation) that vibrates at a higher frequency than lesser evolved souls. When in the presence of one who has made further progress in self-mastery, the lesser evolved soul may attempt to attune to the higher vibration, which can create a cathartic effect in the physical or subtle bodies. It’s like pouring water into a glass that has sand settled in the bottom—things get stirred up. The opposite can occur as well. The higher vibrating soul can be dragged down by the soul that is unwilling to change, evolve, and grow. This is when one must make a decision to either stay in the relationship hoping things will get better, or leave the relationship in order to continue evolving without being pulled down or held back in spiritual growth. 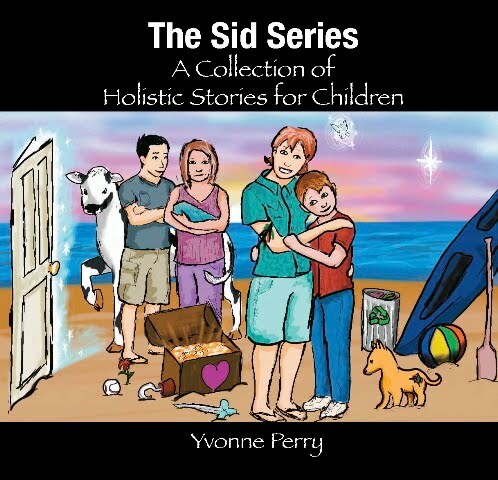 The author, Yvonne Perry, is available as a spiritual coach. See http://weare1inspirit.com/services for information about a free 15-minute evaluation to see if coaching is right for you. The next Shifting into Purer Consciousness Group Coaching Call is October 23, 2014 at 2 PM Central Time. We plan to discuss how to relate better in all relationships. Why are so many relationships failing, and what is needed to create wholesome, loving relationships during this time of planetary shift in consciousness? The old paradigm of Earth was defined by exclusivity, control, deceit, and manipulation. People engaged in monogamous relationships and vowed to be together until death parted them. But when one became dissatisfied with how things were going, he or she would go behind the other person’s back to have needs met. This type of relationship fails many times even when the most loving intentions are set because it goes against the human need to live authentically and be one with all that is. Self-love, honesty, accountability, and empowered communication are the keys to resolving problems and shifting a relationship into the new paradigm. Learn more about intimate relationships and how to relate better in all types of relationships on the live call with Vic Singer and Yvonne Perry on Thursday, October 23rd at 2:00 p.m. Central Time. Shifting into Purer Consciousness Group Coaching Call is hosted by Yvonne Perry, the author of Shifting into Purer Consciousness ~ Integrating Spiritual Transformation with the Human Experience. Yvonne is a walk-in starseed, who serves humanity as an author, coach, activator, and teacher helping people make the personal shift easier. She is available as a spiritual coach. See http://weare1inspirit.com/coaching.htm for information about a free 15-minute evaluation to see if coaching is right for you. The co-host on this show is Vic Singer, a life transformer, visionary, love activist, and medicine woman who has worked with healing arts since age 19 when she began her studies that include western medicine, indigenous realities, and Eastern practices. As the founder of Global Magic Temple, Vic travels wherever the ancient ancestors lead her to facilitate group healing circles and share healing with individual clients. The free group coaching call known as Empowering Hour with Empaths is today, Tuesday, October 14, and we know that you have a lot on your heart. Veronica O'Grady and I will give a heart-felt loving response to as many questions as we can cover in one hour. We are available for personal coaching if you need to delve in deeper on any topic we don't cover in this call. To celebrate my birthday, I'm offering remote light language sessions during the month of October on a donation basis. This is the time to get the coaching help you need without worrying about how much it costs.Use this link http://weare1inspirit.com/?p=7121 to arrange your session. To celebrate my birthday, I'm offering remote light language sessions this month on a donation basis. This is the time to get the help you need without worrying about how much it costs. Use this link http://tinyurl.com/m3jok8q to pay what you can and arrange your session. Our next Empowering Hour with Empaths is coming up next Tuesday and we would like to know what topic you want us to discuss. Please contact me on my website to let me know what is on your heart. Veronica O'Grady and I will give a loving response to all your questions. Mark your calendars and plan to join us live. Let your highly sensitive friends know, too! To celebrate my birthday, I'm offering remote light language sessions this month on a donation basis. This is the time to get the help you need without worrying about how much it costs.Use this link http://weare1inspirit.com/?p=7121 to arrange your session. I've completed the recording and editing of my MP3 audio book of Light Language Emerging ~ Activating Ascension Codes & Integrating Body, Soul, & Spirit. 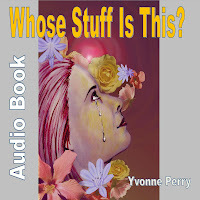 Check it out and hear a sample at http://weare1inspirit.com/product/audio-book/light-language-emerging-mp3-audio-book/. It is on sale now through October 30, 2014 for only $5.55! Shamanic work can show you where you are still vulnerable to ill-intended energy. 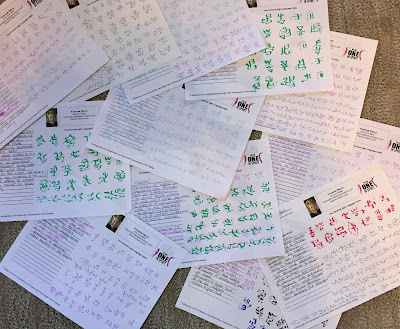 When Ishtah (a powerful galactic shaman friend of mine, who was on a Walk-ins Among Us call last May) lived with me for three weeks earlier this year, we crossed hundreds of souls over after clearing them of their astral/karmic debris. I learned a lot through this experience. I'm glad to say that she is going to be in Nashville in October 2014 and we will be offering some dual-shaman in-person client sessions once again. We got the soul fragment out of the underworld (lower astral dimensions) and returned it to the client who will be doing some inner child work to help reintegrate this part. Hubby and I felt great after the session so we went outside to do some yard work. I had not moved three shovels full of dirt before I had a stabbing pain in my lower back and I could hardly lift my legs to walk. Two knots had come up on my back—like wounds from a bullet or arrow! What could this mean? I wondered. I sensed this had something to do with the session we had just done. “What are you trying to tell me?” I asked my body and my guides. “Stop trying to go back,” I heard. “Living in the past is your weak point—the place where you are most vulnerable.” We only pick up energy that we are in resonance with. My client was trying not to go back to an unhealthy relationship. I was grieving the loss of a significant relationship that I hoped to restore. I needed to move forward, no matter how wonderful the past had been, but my grief and hope for restoration was holding me back. Within minutes, I got a text from my “lost” person, clarifying that our friendship could not be brought back to its former glory. I set my intention to let it go and did not respond to the text. Even though I had gotten the message, I still had to deal with the physical condition that had gotten my attention. I put an icepack on my back, took Advil, and sat in the recliner with my legs up. I posted a request for my friends to send healing energy to my back. A kind person wrote me privately, saying that I was releasing an emotion connecting all this. And, she wrote, “We got your back, lightworker.” I know this was meant to say that my guides are protecting me, and that is true—they do have my back. However, I also read this as a message from the entities in the underworld confirming that they had hit me in my weak spot, when I went in to rescue a soul they were holding prisoner. I recognized this as “backlash”—the thing that nearly killed me as an empathic intercessor and spiritual “warrior” in my church days. I no longer do battle—my only “weapon” is love. Love is non-resistant. You cannot fight for peace—you have to BE peace in order to have it. I thanked my guides and the dark forces of the underworld for giving me the message. When dark forces “attack” us, they are actually serving the light. I was given a gift to be able to see my weakness and do something about it. How can that be a bad thing? We are all light—even dark matter is filled with light particles. Dark forces need to be reminded that they, too, are light. I invited the entities that “got my back” to go into the light. They did and were thankful to be released. Since their prisoner had been rescued, their job was done and there was no reason for them to stay. And the entities holding these entities in the underworld also crossed over for the same reason. This domino-ed and went back many generations. This was setting the souls of my ancestors free and those of the client I had helped that morning. Where do you “hurt” most often in your body? If unresolved, the hurt that others have caused you may be your weak spot that causes you to be a target for detrimental energy to infiltrate. Forgiveness and love are very powerful in releasing energy from the cellular memory of the body. If you missed the call yesterday (September 25, 2014) with me and Vic Singer, you can hear the replay at http://tinyurl.com/SIPC-9-25-14-replay . We talked about letting go of the warring mindset that keeps us trapped in a cycle of fear and retaliation. We learned why it is important to live in sync with the Earth as we experience spiritual awakening and ascension into our highest potential. Vic shared some great stories about how to communicate with nature spirits and animals. We also discussed some dreams/nightmares one listener has been having and learned how to work with the dream and its characters to find resolution and take back control of sleep hours. Several listeners gave input and asked questions that were also valuable. Be sure to subscribe to We Are One in Spirit Newsletter to get a notice when we have group coaching calls. My co-host on this call is Vic Singer, a life transformer, visionary, love activist, and medicine woman who has worked with healing arts since age 19 when she began her studies that include western medicine, indigenous realities, and Eastern practices. As the high priestess of Global Magic Temple, Vic travels wherever the ancient ancestors lead her to facilitate group healing circles and share healing with individual client. Learn more about the ascension process in Shifting into Purer Consciousness ~ Integrating Spiritual Transformation with the Human Experience. Yvonne Perry is available as a spiritual coach. See http://weare1inspirit.com/coaching.htm for information about a free 15-minute evaluation to see if coaching is right for you. Our group call tomorrow will be about letting go of the warrior mentality and living in harmony with the earth as we experience spiritual awakening and ascension into our highest potential. The Earth has already ascended from this veil of illusion, and is a blank slate in a higher dimension. What is created on the new earth is up to us. We are envisioning a loving and awakened divine human that is not dependent upon external devices to support us. Instead, we see ourselves creating from within our most loving hearts the things that bring joy, love, and peace. You are welcome to ask questions, make comments, and participate in the discussion. Yvonne Perry's co-host for this 1-hour group call/webinar is Vic Singer, who is known as a life transformer, visionary, love activist, and medicine woman. She has worked with healing arts since age 19 when she began her studies that include western medicine, indigenous realities, and Eastern practices. As the high priestess of Global Magic Temple, Vic travels wherever the ancient ancestors lead her to facilitate group healing circles and share healing with individual client.